In the first-ever study of its kind, the Patient-Centered Primary Care Collaborative’s (PCPCC) 2018 Evidence Report examines the interaction between the Patient-Centered Medical Homes (PCMHs) and the Accountable Care Organization (ACOs) through both qualitative and quantitative methods. 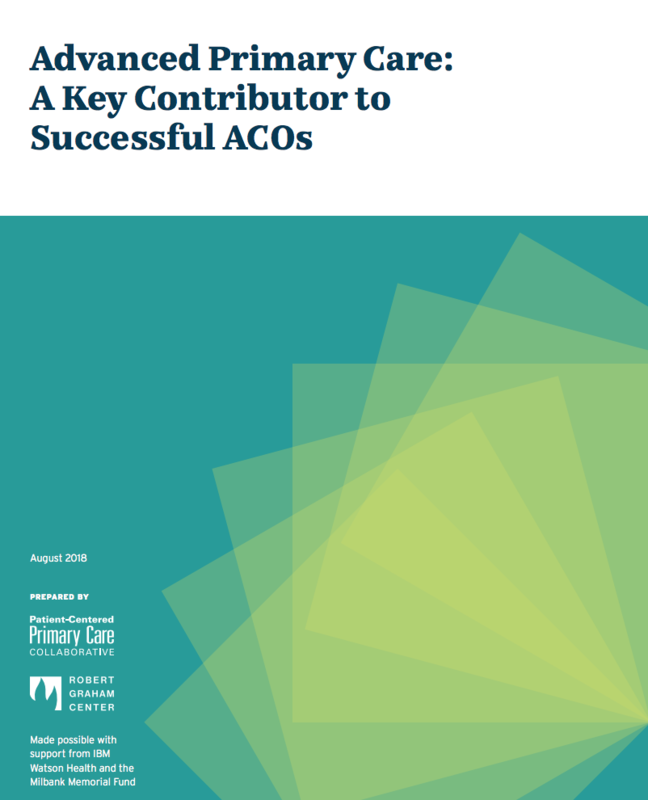 The PCPCC 2018 Executive Report examines how the role of advanced primary care, such as the PCMH, may contribute to the success or failure of ACOs. To answer this question, the researchers at the Robert Graham Center and IBM Watson Health utilized qualitative and quantitative methods. The qualitative methods included two literature reviews and the input of an expert committee. The quantative research included analysis of the 2014 Medicare Shared Savings Program (MSSP) data set and NCQA PCMH data set. The Executive Summary provides an overview of the 2018 PCPCC Executive Report. This concise version summarizes the qualitative and quantitative findings. The White Paper summarizes the topline results of the 2018 PCPCC Executive Report. In addition, the White Paper describes the importance of this research.